For doctors, taxation often gets more complicated over the years and their accumulated estate diversifies. They can benefit from many different types of investment but it can be quite challenging. 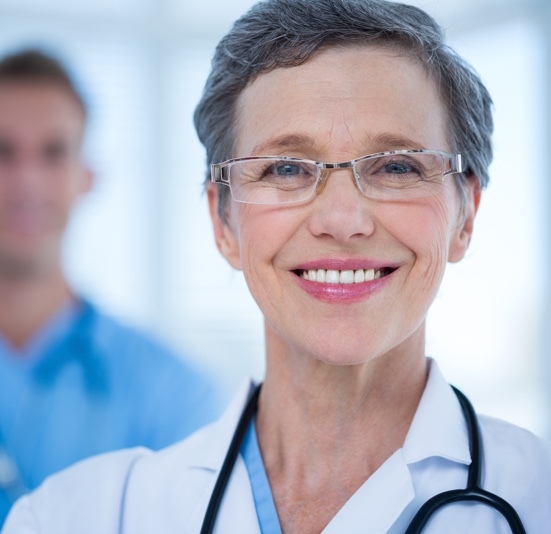 Since 2007, incorporation has become a valuable option for doctors. It is indeed a hot topic nowadays. Doctors incorporation offers a wide range of opportunities in terms of taxation. Besides, many of them are hardly reachable for other SME. Individual pension plan will obviously continue to be widely discussed over the next few years. RRSP are now a thing of the past for well-advised doctors. Package for incorporated doctor at $ 1,950! Personal taxes of the doctor, his partner and his minor children. Unlimited phone call, and more. Why is the price this good? It’s simply because we love doctors and especially because we share the opinion that there is no reason to charge more just because you are a doctor. The services are offered by a licensed professional accounting firm (CPA) that is already providing services to several doctors like you. We prepare your statements with care, we do not offer an “express” service and we do not encourage using an aggressive tax planning. If you worked for “Médecins du Monde”, “Médecins sans frontière” or similar humanitarian organizations around the world, you may be eligible for a $ 500 discount. Your first consultation is free (normally worth $ 375), and we will let you know how much money you can save in taxes with an incorporation, a trust or other prudent fiscal strategies. Come and let’s analyze your personal situation together. Call us now at 514-493-3472 or at 1-888-493-3472 we will take care of everything. Did you know that you could save up to $30000 or more on taxes through an incorporation every year? Incorporation could be one of the best tax-effective decisions of your life and in the following videos, I will show you why. Whatever maybe said, incorporation is a must for most entrepreneurs. In addition to the legal advantages on which we’ve already discussed, there are almost 9 tremendous tax benefits, along with an exceedingly minor disadvantage. 1. The first great benefit: Income splitting. Or with your spouse if he’s unemployed, or has undergone an income reduction due to a certain inability, a maternity leave, a sabbatical year, a return to school or any other situation that causes an income reduction. 2. The Second greatest benefit: the deferred tax. The deferred tax is a technique that’s extremely easy to carry out. Let the Célestin chartered professional accountants in Montreal show you, in a couple of seconds, how you can immediately save $10 000 on taxes by saving $30 000, without touching your RRSPs. The capital gains deduction has a massive benefit, not to be missed out. The capital gains deduction facilitates you to exempt certain capital gains from taxes up to $800 000. After watching the Célestin Chartered Professional Accountants’ video on this topic, you may probably be, at the very least, reviewing some of your investments, and this would especially be true if in case you are investing in a real estate. Learn how to succeed in saving $200 000 on taxes, effortlessly. The Individual Pension plan (IPP) can be an especially appealing benefit if you don’t have access to a pension plan other than the RRSP. This is what most entrepreneurs are opting for. The IPP most profitably replaces the RRSP for many incorporated entrepreneurs. If you have not yet heard about this, then that’s simply because, the IPP generally brings benefits only from 3 to 4 years after the incorporation. In order to reap full benefits offered by the IPP, you must, however, be aware of how to prepare yourself, beginning now. The IPP enables you to profit from deductions just like the RRSP. The IPP also allows you to largely exceed the maximum RRSP contributions and instead of $22 000, it could be $35 000 based on your situation. The IPP further allows you to enjoy valuable reductions found on the market. This cannot be done with an RRSP. The R&D is possibly one of most significant profits brought to you by the incorporation. Research and development tax credits are extremely open-handed. Quebec and Canada invests billions of dollars in the form of tax credits. For example, an entrepreneur developing a software without being incorporated will be able to apply for a tax credit of 40 % from his development expenditure excluding his salary. Unfortunately, his salary is by far the most frequently significant R&D expenditure. An incorporated entrepreneur can retrieve 70 % from his expenditure including his own salary. Be careful, most entrepreneurs are very often unaware that some of their activities qualify them to apply for Research and development credits. This is a serious mistake. By research, it does not signify a fully structured research, in laboratory. Small researches that you personally carry out for all sorts of specific reasons are acceptable regardless of your scope of activity sector. In general, entrepreneurs will continue improving processes and these improvements can be considered as research and development. For example, this can even mean developing a new recipe. Research, in fact, has a broad definition. 6. The Sixth greatest benefit: being incorporated, you can name your car on behalf of the company like so many other entrepreneurs. 7. Seventh benefit: the company shares, and therefore the properties detained by the company, do not include into the family patrimony, in case of a separation! Think about it, carefully! 9. Ninth great benefit: Being incorporated, you may gain access to several outstanding strategies with the life insurance. Among others, you have the possibility of releasing several thousand dollars from the company, excluding tax, by transferring a life insurance policy. With all these elements, it is practically impossible to think that there will be nothing productive left out for you. Simply the possibility of splitting with yourself, or your spouse during a maternity leave, when returning to school, an early retirement or a temporary or permanent disability, should encourage you to incorporate. But keep in mind that you cannot start incorporating once you become disable, then it’ll be too late to earn profits from the benefits. Generally, if the incorporation has not enabled you to save up on taxes for one year, it will usually take a neutral effect for most entrepreneurs. On the other hand, a single year of income splitting, for example, will allow you to save up so much money, that it will compensate for every year the company was left fiscally neutral. The minor disadvantage is that there is a little more administrative paperwork to be completed. You must prepare a balance sheet for the company along with an income statement as well. In addition to this, you must also maintain a minute book of the company. At least one advantage can be drawn from these little inconveniences. Your business affaires will at the very least, be in order during an inability, or a premature death. The most important point of today, is that the benefits of incorporation play an important role throughout our life whereas the disadvantages together with the expenses are quite insignificant, if not negligible. I invite you to gain remarkable benefits from a free consultation worth $375.Through this consultation, you will eventually come to know how much money you can ultimately save on taxes through an incorporation, a trust or any other prudent tax strategies. Register to this page right now to be able to visit our web site, its content and videos aimed at SMEs for free. You will be offered solid examples on the expertise of our chartered professional accountants, and you will find some particularly useful information to learn how to best use an incorporation, while enjoying its benefits. Feel free to contact us right now to discuss with a partner on the peculiarities of your case and book an appointment for a free consultation worth $375. And make sure to ask for more information on our competitive rates and our exclusive promotions. The information and the data contained in this Tax Bulletin are presented and provided for informational purposes only and Célestin chartered professional accountants and the people who prepared them shall not be liable in any manner, based on contract or tort. We recommend you to consult the professionals of Célestin chartered professional accountants before making any decisions on the basis of the information contained in this Tax Bulletin. Learn what income splitting is and why tax experts use income splitting techniques so as to reduce your taxes. In the following video, the tax rates of various families are compared in order to illustrate a tax “inequality”. To simplify the demonstration, certain deductions may not be used, the credit which for example, could be entitled to the spouse. Nevertheless, the difference remains significant. Find out how you can easily split your income and save $ 30000 on taxes. Income splitting is a simple technique that helps reduce your tax bill significantly. The American system allows to carry out income splitting over the same family. Here in Canada, a real strategy is needed to achieve the same results. Incorporation allows you to carry out income splitting very easily. For an entrepreneur having adult children who are still students, incorporation is often the “best” option. Watch this video and let us know what you think! Find out how and why, when you save, you can reduce your taxes if you are incorporated. Incorporation is an inevitable approach for many entrepreneurs since sooner or later, they will have to save up for their retirement years… The explained mechanism is related with the deferred tax. This is the simplest method you can use to benefit from immediate tax benefits. There are better strategies such as using the IPP (Individual Pension plan) enabling you to save up even more (including a 20 % from taxes which the corporation must normally pay). Watch this video and let us know what you think! Selling SMEs is certainly a significant method that an entrepreneur can use to prepare his pension plan. Very often, entrepreneurs undergo a certain difficulty in saving up for their retirement years due to the lack of sufficient liquidity. Entrepreneurs often consider that selling their company is the best privileged method to save up a certain amount that will serve as his pension fund. Hence, the capital gains deduction helps entrepreneurs exempt up to $800 000 from his earnings (at the time of the sale) without the tax taking a large part of it. This video will briefly elucidate on how to earn optimum profits from this deduction. Watch this video and let us know what you think!